July | 2011 | Harder. Better. Faster. Stronger. 1. On Monday I will publish a post I’ve been working on for a while. 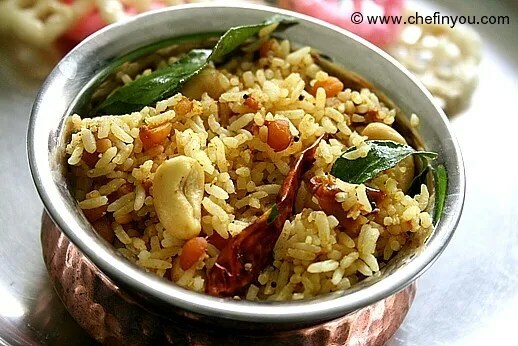 This post will discuss in detail how you can tweak the current (arguably unhealthy) south Indian diet to make it similar to the traditional south Indian diet but with lesser calories and more nutrients. Following that post, if there is enough interest, I will write a couple more posts that talk about using the new south Indian diet to help you with fat loss and other specific goals. 2. I have way too many things on my plate right now and am working on something huge which I’m super excited about. As a result I don’t have any time for online consultations and have ended up multiple emails requesting online consultation that I am yet to answer. If you are one of those who emailed me, do wait and I will get back to you eventually. If you want to consult with me, I’ll tell you now that the wait time is pretty long. You can send me an email now if you wish and I’ll put you on the list for later. If not, just hang tight and I’ll let you guys know when my schedule opens up. 3. One of my clients/readers just told me today that she hasn’t eaten pizza in over 2 years. In order to end this madness, I will be working with her closely to solve some health issues so we can somehow stuff some pizza into her mouth. Thassraight! I’m a terrible trainer and the worst health advocate ever! 5. Another one of my clients with fat loss goals started off with me on a low carb diet and felt like dog crap. In changing her diet to high carb low fat low protein, she is losing fat and happy and not swearing at me anymore! I have no idea why I’m writing this on this post, but happy clients = happy me. 6. I have two more weeks left in the bay area and I plan on eating anything that is awesome and special to the bay. If you know of any such places that I need to hit up before I leave the country, let me know ASAP! 7. After these two weeks, I will not have access to a gym or barbells or any special equipment for about 4 months. During this time I will be working out using purely bodyweight based exercises. If you are interested you can join me. I will be posting my daily workouts (and food consumption) either on my twitter feed or on my FB group. Follow me if you want to get healthy, strong, fast and lean! You live only once… awesome you better be! 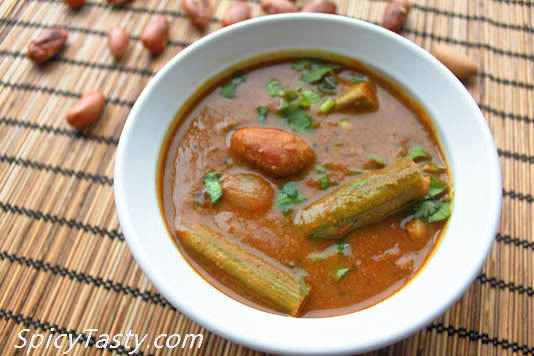 What did healthy south Indians eat in the early 1900s? The other day I was chillin with the Calmeister and I realized something – my great-grandparents lived long and strong! My great-grandfather lived till he was 88 and my great-grandmother till she was 92. Both of them lived very healthy lives with absolutely no chronic illnesses like diabetes or high BP or cancer and only finally surrendering to infectious diseases during their ripe old ages. So to understand further how they lived and what they ate, I called my grandmother (their daughter) who is now 77 years old and lives with my parents in Chennai, India. Though she is diabetic and is suffering from some other ailments, she is doing well for the most part and can talk till the cows go home! Here is what she had to tell me about her parents’ diet. lived in the Thirunelveli district in Tamil Nadu, India. like everyone else in my family back then and now, were vegetarians consuming only plant foods with the exception of dairy. consumed absolutely no meat or eggs due to moral and religious reasons. were in no way outliers and their food intake, lifestyle and good health were very representative of others who lived in their village during the early 1900s. Food was consumed in small quantities saving gluttony for religious festivals. Rice was the staple and was consumed multiple times a day everyday. Lentils were consumed about once a month when ‘specialty’ dishes like dosa and idli were cooked. Fruits were hardly consumed and if they were consumed, whatever seasonal fruits that were available were consumed. Oils were hardly used. Each person consumed about a tablespoon of oil per day, if that. Sesame oil was the oil of choice. Pazhaya sadham or old rice (rice cooked the previous day and soaked in water to keep), was consumed along with karupatti (palm jaggery) and/or green chili or pickled lemon, mango etc. very often. 2-3 cups of fresh whole milk per person was consumed everyday. When possible, ghee (clarified butter) was consumed in abundance. Sweet and savory Indian snacks were made at home from scratch and consumed about 2-3 times a year during festivals. Buttermilk was consumed (along with rice) when available. Food items containing wheat (like poori, chapathi etc.) were non-existent. Later in life, as they grew richer and as food became relatively cheaper, the following changes/additions were made. 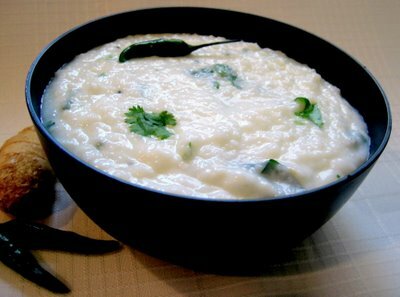 Rice was still the staple and was consumed in every meal every day as cooked rice or old rice or dosa or idly or pongal. 3 square meals were consumed. Breakfast was typically south Indian staples like dosa, idly, idiyappam etc., lunch had plenty of rice along with sambar (lentil based soup), rasam (soup), kozhambu (gravy) and some vegetables and dinner was either the same as breakfast or lunch. Generous amounts of ghee was consumed. I was told that my great-grandfather would dip each piece of dosa into a cup of ghee during breakfast/dinner. More vegetables were consumed but the total quantity consumed by each person per day was still much lower than what is recommended today. Whole fresh milk was still consumed in abundance and they fed milk to their kids by force or foul! I was told that, when he was a kid, one of my grandmother’s brothers hated milk and would demand money from my great-grandparents every time they wanted him to drink milk! They actually gave him the money to get him to drink milk. Fruits were still a rarity but almost everyone consumed a banana everyday. Ghee and sesame oil were used for cooking purposes. Almost all dishes had coconut added to them either as shredded coconut or coconut milk or coconut oil. Dosa and idly were served with coconut chutney (main ingredients: coconut, chili, garlic, ginger and salt) and ghee or oil. Cooks were hired to make sweet and savory snacks from scratch. The snacks were consumed in great abundance but still only 3-4 times a year during important festivals like diwali and new year. Buttermilk was consumed in abundance during the summer. Nuts were hardly ever consumed. Coffee was made from coffee beans that were ground at home! * People were not extremely active and led moderately active lives. Now these were my grandmother’s words, but considering they had no cars to commute, no TV to watch, no desk jobs to sit at, no couches to sink into and no computers, internet and social media to constrain free movement, I’m sure their activity levels were still much higher than that of an average person today. Add to this the fact that cooking meant real work and not just sticking something inside the oven/microwave and washing meant beating the crap out of multiple wet clothes and not just throwing a load into the washing machine, I’m pretty sure you’ll be convinced that they were indeed much more active that we are today. * Children played like children and adults worked like adults – both requiring physical strength and endurance. * Stress levels were low for the most part other than the occasional ‘we dont have enough food to feed our 11 children’ cry. * Pollution was, well, much much lower than it is right now. Rice was the only grain consumed and it was consumed in abundance. Lentils were consumed only occasionally. Sugar was enjoyed without guilt but only 2-3 times a year. No other grains (wheat, corn, rye etc.) were consumed. Vegetables were consumed when available. Fruits were rarely consumed with the exception of bananas which were an everyday food. Ghee was the cooking fat of choice following by sesame oil which was a close second. Ghee, when available, was added to everything (rice, dosa, idly, chutney etc). Plenty of milk (~ 3 cups/person) was consumed. Meat and eggs weren’t consumed due to moral and religious reasons. Activity levels were moderate but presumably much higher than right now. Stress levels were low for the most part. Pollution was relatively much lower than right now. So what does this mean? A vegetarian diet is the healthiest diet? Rice is super healthy and over-consumption is perfectly fine? Vegetables aren’t as critical as we are made to believe and can be eliminated? Milk is nutritious enough to fill in all the nutritional gaps? Ghee has life extending properties? No. No. No. No. And no! Firstly, we need to keep in mind that this is information about the dietary practices in a small village almost 100 years ago, as recollected by my 77 year old grandmother. Now I am absolutely sure that the information is spot on because for none of my questions did she have to think even for a millisecond! She had no idea I was going to ask her about her parents’ food intake but when asked she spit out these answers like she’d been waiting for someone to ask her these questions for many many years! But still, the information we have here has the potential to be useless. That said, let’s look at some obvious inferences. 1. Forget what they didn’t eat. Look into what they did eat for the most part – white rice, vegetables and fresh whole dairy. 2. Forget carbs, cooking oils, meat, fat etc. Look at their lifestyle – active, low stress and pollution free. What can we conclude based on this? Their diet might have been less than optimal with respect to nutrient density, but, the key inference here is that, their diet was completely devoid of anti-nutrients! There was no gluten or any other potentially toxic protein from other foods. There were no oxidizable vegetable oils used under high heat. Dairy products were consumed whole and weren’t processed or powdered. No artificial sweeteners or preservatives were used. Pollution was minimal and hence inhalation of toxins via vehicle and other exhaust was trivial. The way I look at it, long term health results from the coalition of four critical components – nutrition, activity, stress and toxins (via inhalation). Without any effort at all, our ancestors had three of the four components very well controlled. The only component they had to control was nutrition and they realized that as long as they didn’t consume anything that was potentially dangerous to them, they didn’t have to worry much about nutrition either (other than making sure there was enough food in the house). We, on the other hand, are royally screwed on all four fronts! We are surrounded by foods that are engineered with the sole aim of making us fat and sick, our activity levels are laughably low, our stress levels are dangerously high and we inhale toxins from the air all day everyday! And guess whats even more messed up? We have little to no control over pollution and, in some cases, stress levels. So clearly, our only opportunity to make the best out of what we have is to control nutrition and activity! So whats the take home message here? Say you’re at a random restaurant but you are determined to eat real food that is good for you. The menu has bread, rice, fruit, cheese, vegetables, eggs and meat. Meat and vegetables are the best options because they are real food and contain protein, fat, vitamins and minerals right? But, as is true in most restaurants, what if the vegetables are sauteed/fried in vegetable oil and quality of meat is questionable? Still think meat and vegetables are your best bet? Well, of course not! In such a case you are better off eating white rice, cheese and whole fruit and getting your protein and vegetables at a later time when good quality food is available. Sure it is important to eat nutrients. But understand that it is more important to stay away from anti-nutrients. After all, its impossible to eat everything thats good for you, but its very possible to not eat whats not good for you. Keep it smart. If there is enough interest, I will write a post listing out some really cool ways of tweaking the traditional south Indian diet to make it work for you today. Whether your goals are general health or better performance or to lose belly fat or to gain muscle, the south Indian diet can absolutely do it for you! Let me know in the comments section if such an article will help.